Make every day a getaway with Siren by Paris Hilton. Inspired by the scents of sand and sea, this fragrance is both seductive and sweet. 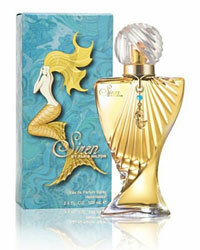 With notes of Mandarin, Apricot Nectar, Water Lily and Honeysuckle, and a base of Vanilla Bean and Sandalwood, Siren is irresistibly charming. Visit macys.com to pick up a bottle for yourself.